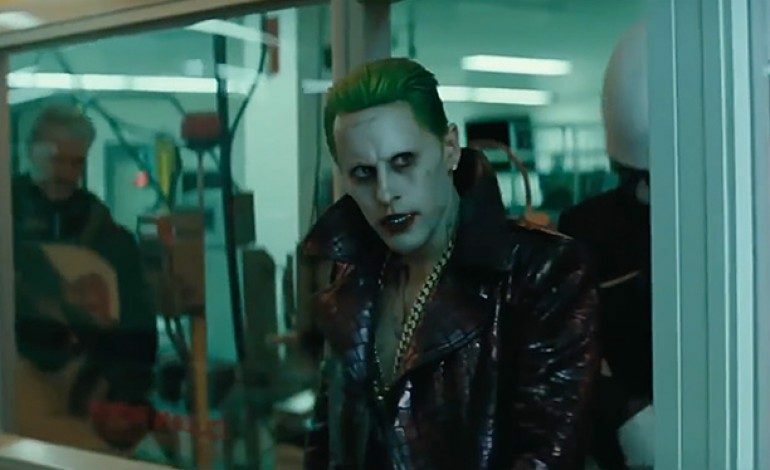 Note: This articles contains mild spoilers for Suicide Squad. It’s been a bumpy week for Suicide Squad, the widely anticipated spectacle that features a rogue gallery of DC Comics’ most iconic and beloved villains. The reviews have been fairly brutal, fans immediately protested (even sparking an online petition against review aggregate site Rotten Tomatoes), then the film rallied to outstanding early box office returns in Thursday night previews. One stake that may turn into an evolving story may involve the rebooted appearance from DC villain granddaddy The Joker in the movie. Or more so, the lack of his appearance in the finished product. That’s a good question. I have no idea. I think he probably went and had a drink or something. Stretched – once you get blown up in a helicopter your muscles get a little tight. Were there any that didn’t get cut? I’m asking you, were there any that didn’t get cut? There were so many scenes that got cut from the movie, I couldn’t even start. I think that the Joker… we did a lot of experimentation on the set, we explored a lot. There’s so much that we shot that’s not in the film. If I die anytime soon, it’s probably likely that it’ll surface somewhere. That’s the good news about the death of an actor is all that stuff seems to come out. Director David Ayer suggests that a cut of Suicide Squad featuring nearly 10 minutes of deleted scenes may be unearthed eventually, perhaps when the film hits Blu-Ray. Yet he seemingly remains coy on whether or not they feature more of Leto’s The Joker.